This 2-hour Seattle City Tour picks up in Downtown Seattle is a fantastic way to see the Seattle Metro Area! Enjoy Seattle's natural beauty and capture the perfect photo that will cause friends to envy your life. 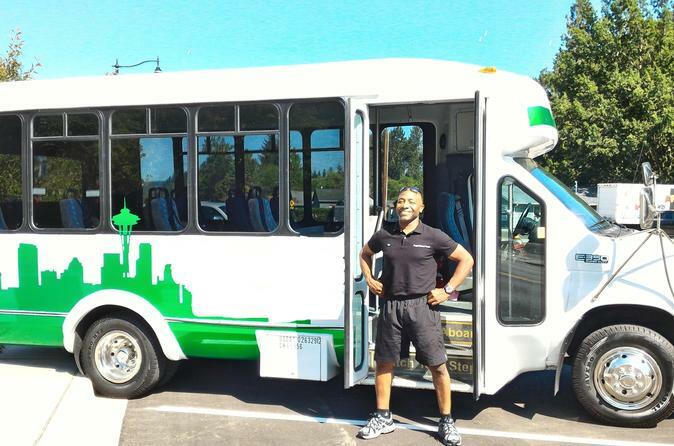 With convenient pickup from all downtown Seattle, this is a tour not to miss out on! This afternoon Seattle City Tour is quickly becoming a favorite in Seattle Washington among locals and visitors alike. With over fifteen years in the tourism industry, we pride ourselves on providing outstanding service. Because of our small tour size of 15 passengers (Max), each guest receives a more intimate experience. Our operators have lived in the Pacific Northwest for over 30 years. Our goal is to ensure you have a memorable tour that continues to leave an everlasting impression of the Pacific Northwest long after you've returned home.